Looking for additional revenue streams with your HPE on-prem customers? 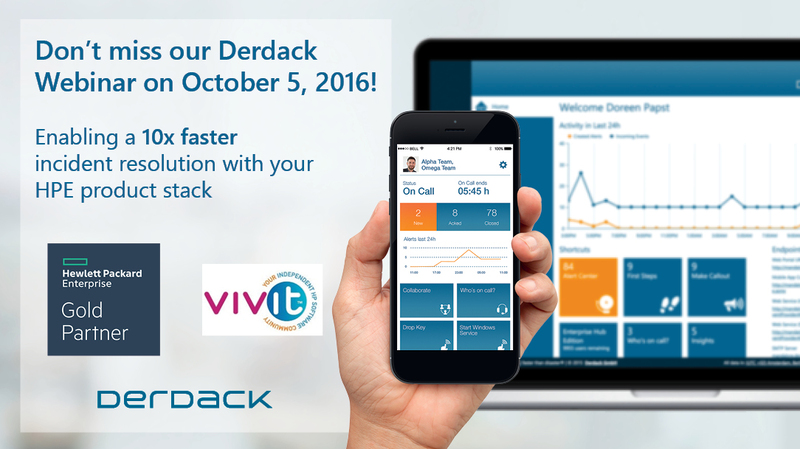 Derdack complements NNMi, OM, OpsBridge and other HPE products with reliable alert notifications and mobile apps for anywhere remedial – enabling a 10x faster incident resolution. We focus on on-prem installations allowing customers to fully own the license and benefit from proven security and data transmission standards. Looking forward to showing our product to you! Meet our experts @ Experts Live Europe in Berlin!